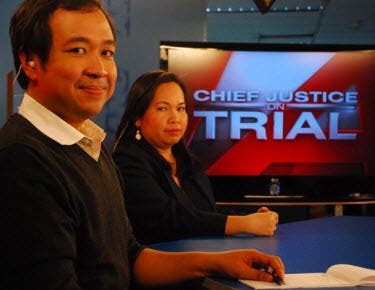 The country’s most trusted news channel, embarks on a 48-hour, uninterrupted news coverage on Monday (May 13) and Tuesday (May 14) led by the network's veteran journalists. 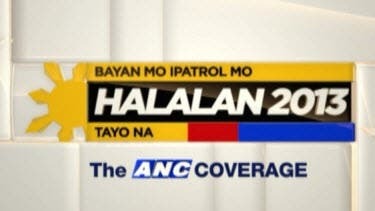 ANC’s marathon coverage will be led by seasoned journalists Tina Monzon-Palma, Cheche Lazaro, Tony Velasquez, Lynda Jumilla, Karen Davila, Pinky Webb, Ron Cruz, Coco Alcuaz, Karmina Constantino, David Celdran, and Bernadette Sembrano who will give timely updates of election events all over the country. ANC also offers comprehensive and in-depth analyses of developments by political analysts Prof. Randy David, Prof. Edmund Tayao, Prof. Prospero De Vera, former Comelec commissioners Rene Sarmiento and Gregorio Larrazabal, and columnist Teddyboy Locsin, as well as special reports on different voting blocks and interviews with guests from poll watchdogs and political parties. Aside from on-air and on-ground coverage, ANC will also provide up-to-date online news via Twitter (@ANCALERTS) and Facebook (www.facebook.comANCAlerts), with anchors Boyet Sison. Paolo Abrera, and Lexi Schulze monitoring the buzz on social media. ANC, the news channel that has covered Philippine elections in almost two decades, led the election news coverage as early as last year when it launched “ANC Presents: The Road to 2013”. Anchored by Lynda Jumilla, the year-long primer presented comprehensive analyses of the sectors and personalities critical to the elections. In February this year, ANC replaced the said program with “Harapan 2013,” also anchored by Jumilla, where senatorial candidates were interviewed on important national concerns and their platforms. ANC’s “Headstart with Karen Davila” also introduced its Halalan 2013 series in its “Hot Copy” segment where senatorial candidates were interviewed. Tune in to the only news coverage of a Philippine news channel that counts. 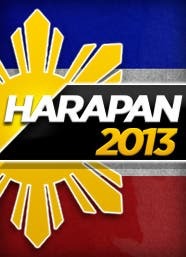 Watch “Halalan 2013: The ANC Coverage” on ANC (SKyCable Channel 27) on May 13 and 14. For updates, follow @ANCALERTS on Twitter and like www.facebook.com/ANCAlerts.